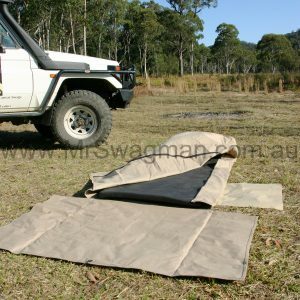 Mr Swagman’s Ultimate swag is literally the ultimate in comfortable bush camping. 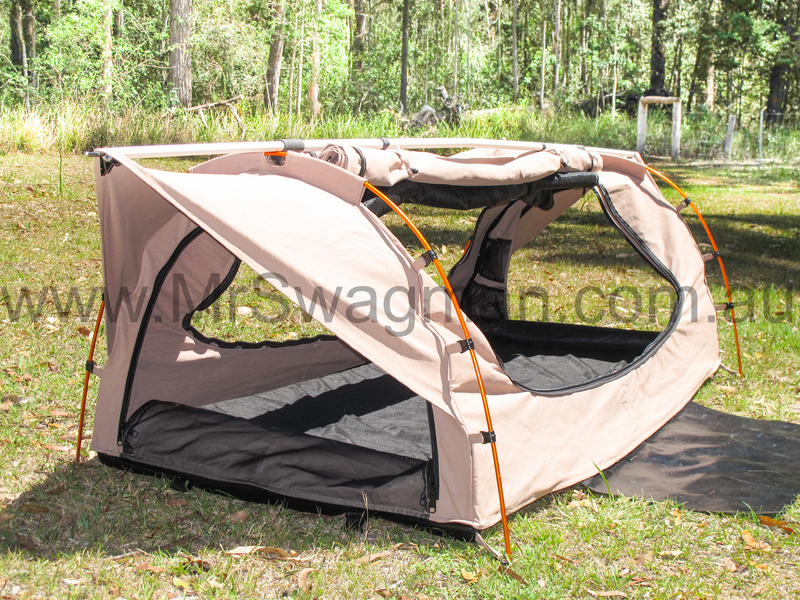 The Ultimate swag features high grade aluminium poles at each end, which are shot-corded with elastic to prevent loss. 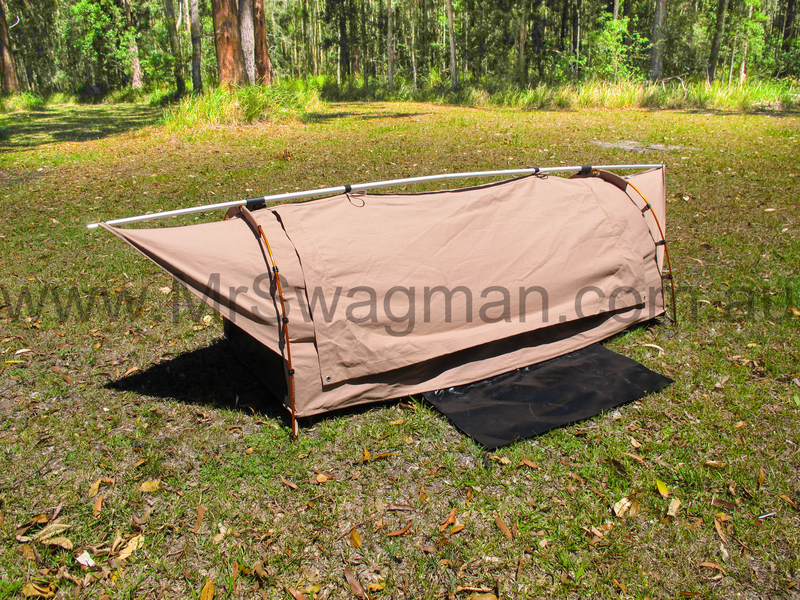 The centre aluminium spreader bar is a high strength multi-section pole that not only holds the swag up via tensioning the head and foot end bows, but is also integral to holding the two end awnings out. Once the aluminium poles are inserted into the canvas sleeve and quick-clips, a quick and simple pin-in-socket system keeps them in place. 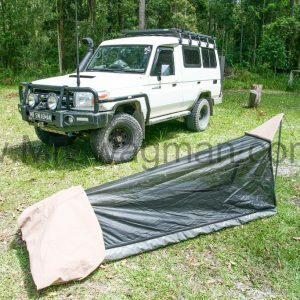 Then it’s just a matter of tensioning the spreader pole. 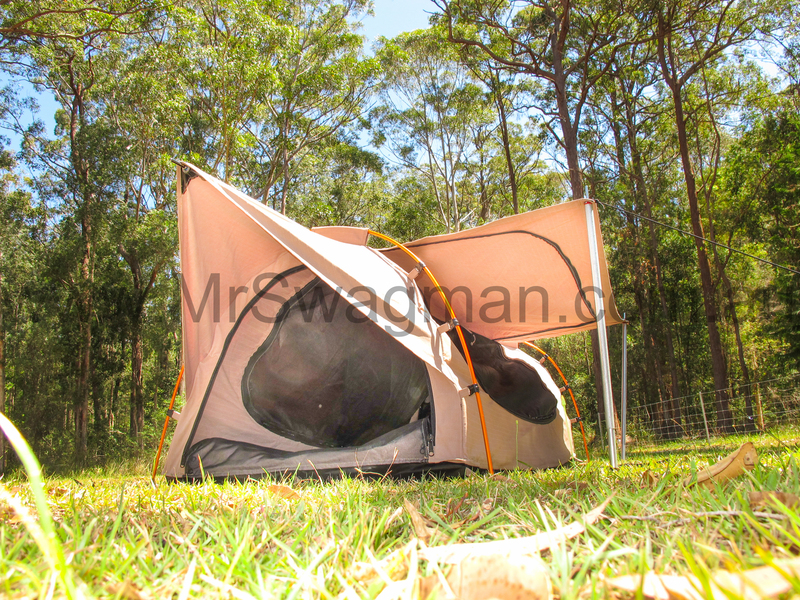 There are no pegs or ropes needed to hold Mr Swagman’s Ultimate swag up. 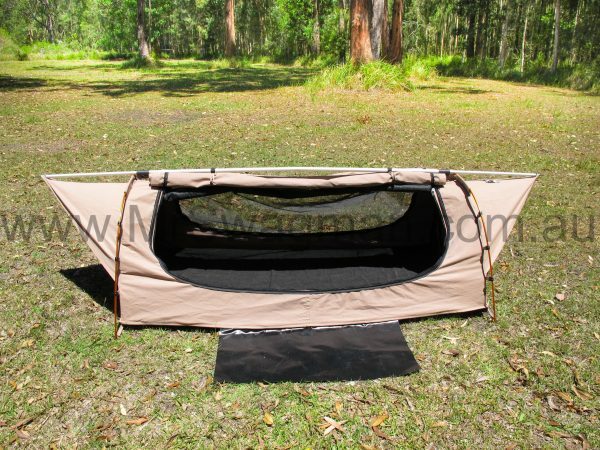 It is 100 percent free standing and once set up, can be picked up and moved if needed without disassembling. The Ultimate design provides enough internal room to keep all of the canvas and mesh off your body. 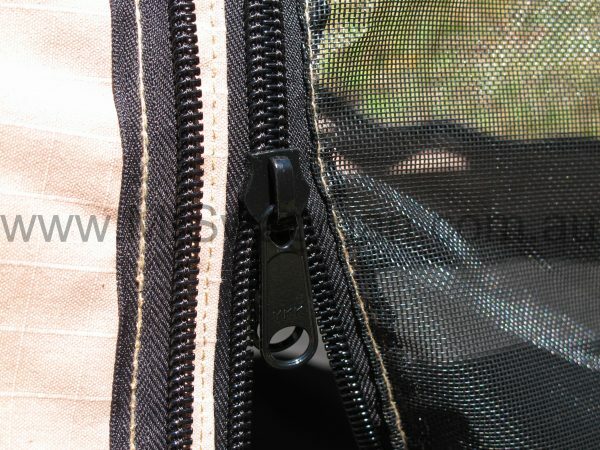 The Ultimate swag allows entry from both sides via the full length canvas and mesh covers; as well as from both ends via the opening canvas and mesh end windows. The Ultimate swag features a full length, zippered, roll up canvas covers on both sides which reveal full length zippered sand fly proof mesh side panels to allow maximum ventilation. 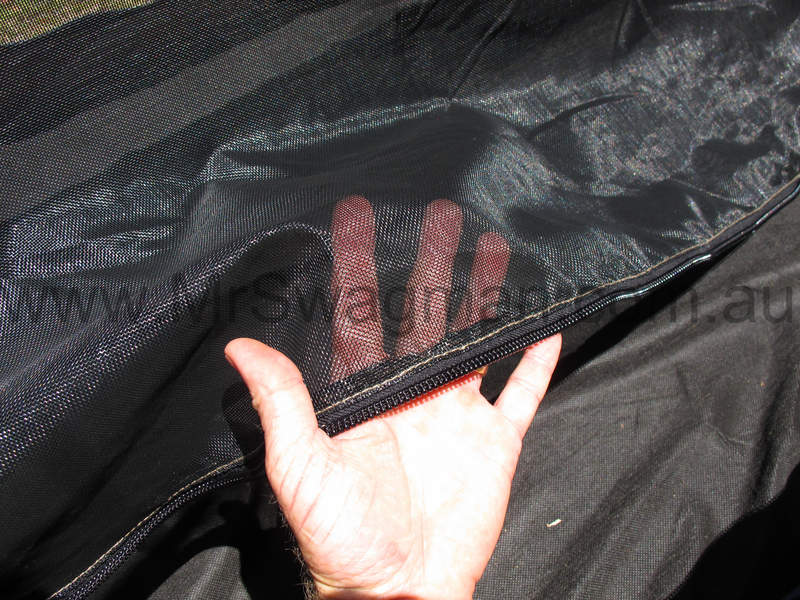 To provide superior flow through ventilation the Ultimate swag includes head end and foot end mesh windows under the awnings – both of which can be opened from within the swag, so there is no need to get out to close the canvas windows if the weather should change overnight. 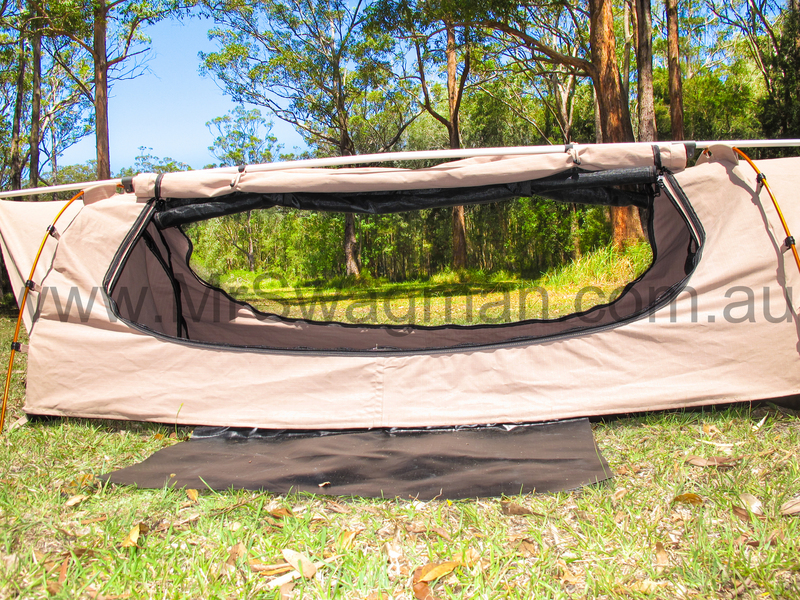 The two end awnings also allow you to leave windows open and keep the rain out – perfect on hot nights. The side awning can also be propped up to provide a huge covered area under which you could store a heap of camping gear or even your pet dog out of the sun and rain. (extra poles, ropes, pegs not included). 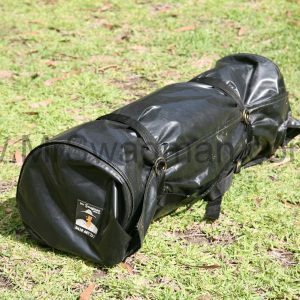 A side external PVC ground flap is ideal for standing on once your boots are removed to keep your feet clean. 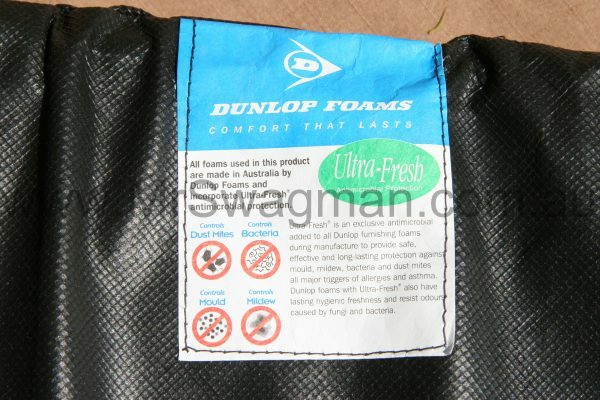 This PVC flap is then used to protect your boots from rain and dew overnight. 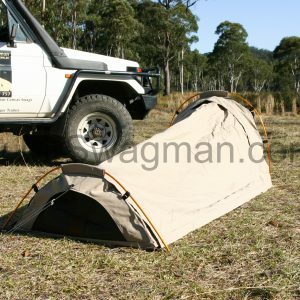 The base of all Mr Swagman swags is a high quality, flexible 650gsm ripstop PVC, which allows you to use the swag on all ground surfaces – wet or dry. 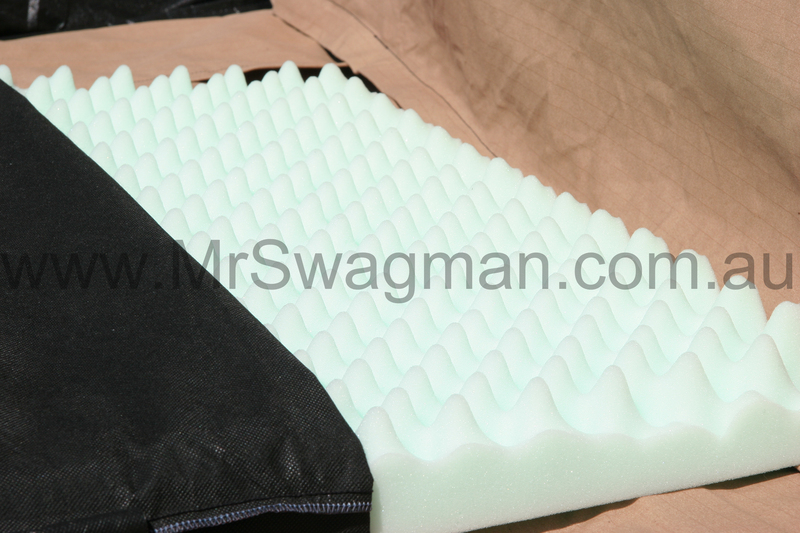 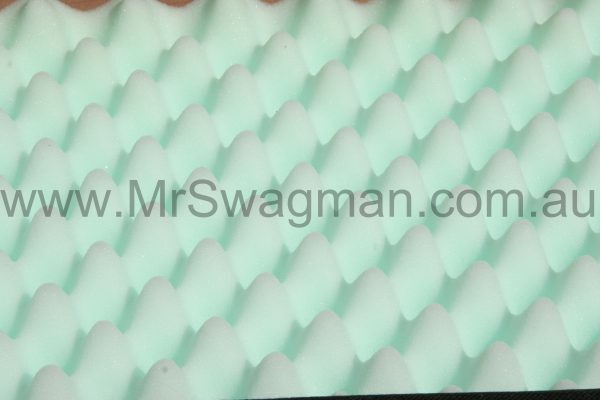 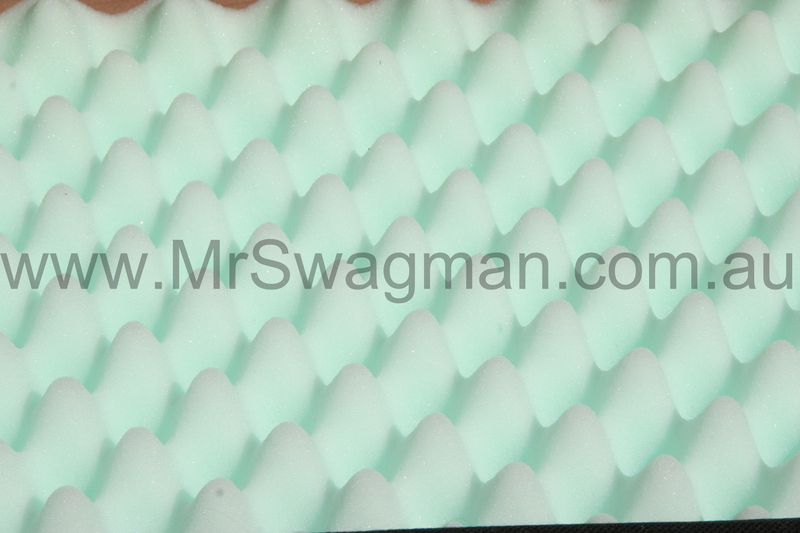 A high density, 70mm egg crate style foam mattress, with a removable cover is included in the price of all Mr Swagman swags. 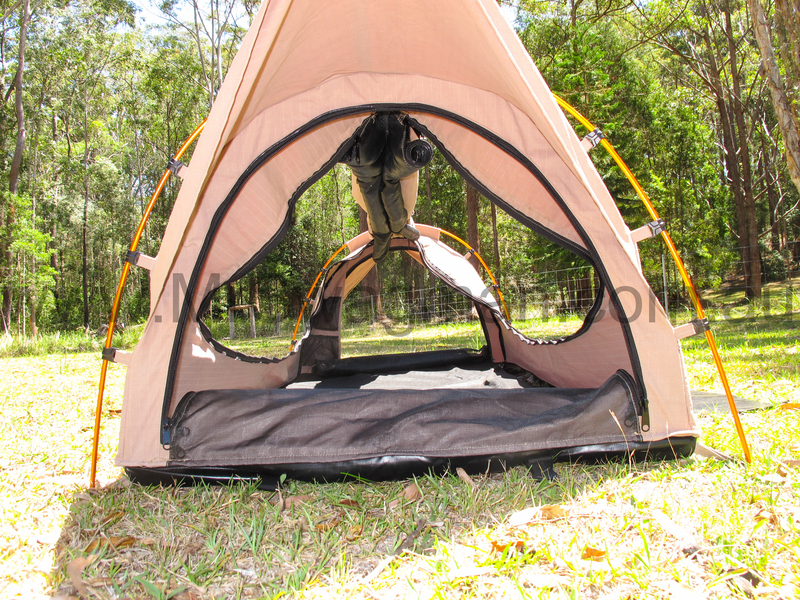 They provide maximum comfort by preventing the user from touching the ground, ensuring a good night’s sleep. 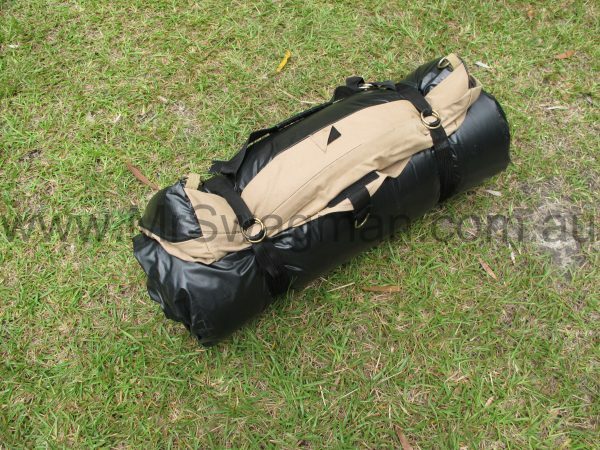 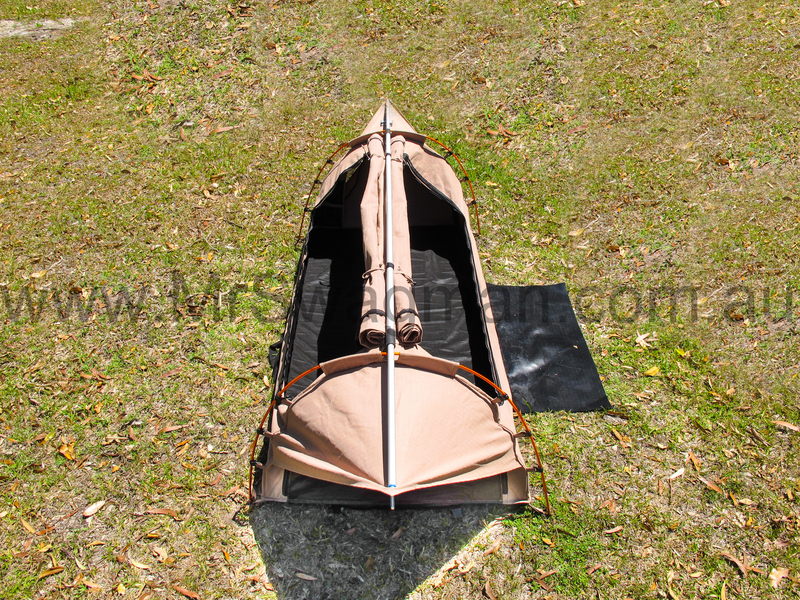 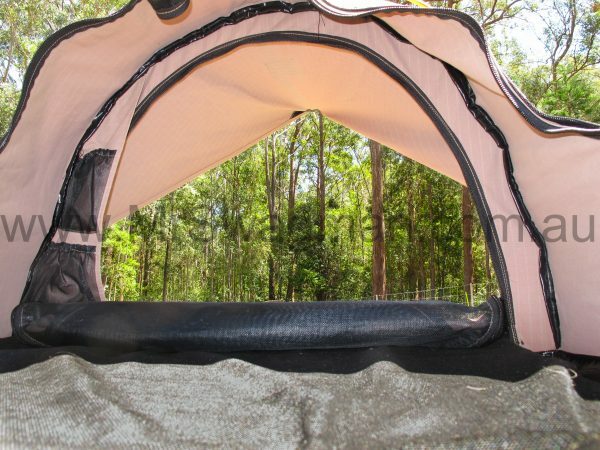 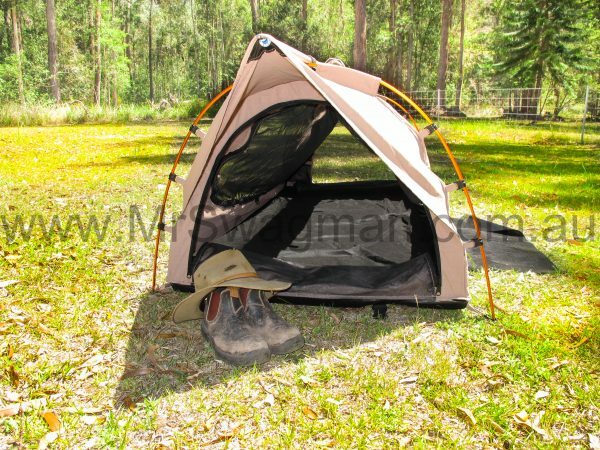 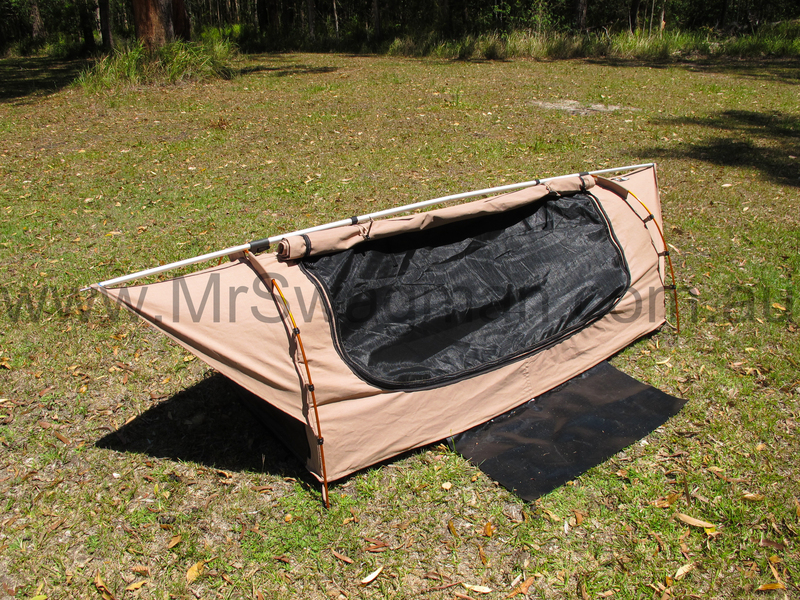 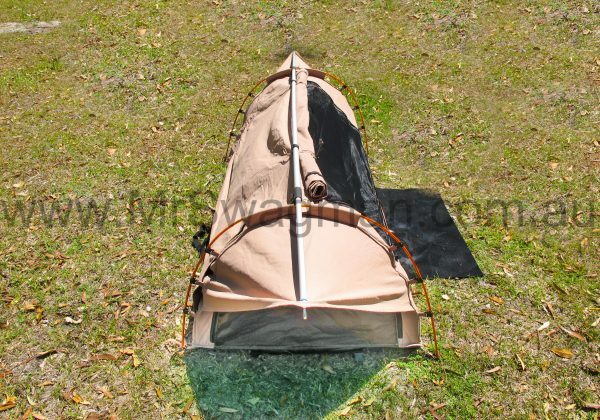 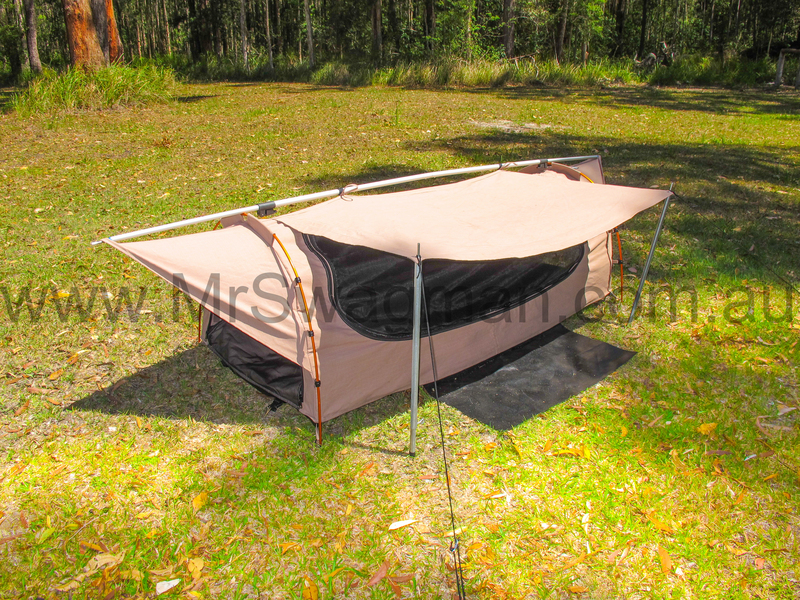 Mr Swagman’s Ultimate swag comes in a King Single size only and measures 1.0 meter wide, 2.1 meters long and 80cm high at both ends to provide the ultimate camping comfort. 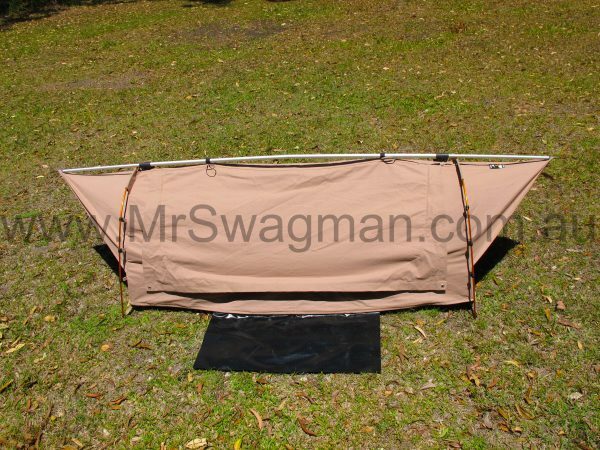 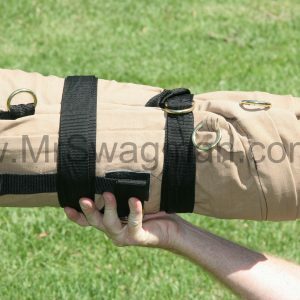 No other swag can boost as many features as this swag combined with ease of use; you will be the envy of all other campers with this Ultimate Mr Swagman swag.